The incredible culinary experience of The BOATHOUSE will be showcased in an expansive restaurant with three distinctive bars including The Captain’s Raw Bar, The Admiral’s Club Bar and The Dock Bar, which is built over the water. The BOATHOUSE restaurant will be managed by internationally renowned and award-winning Gibsons Restaurant Group, celebrated for exceptional food and extraordinary service. Guests will enjoy a gourmet menu served daily until 2 a.m. featuring steaks, chops, fresh seafood and a raw bar. 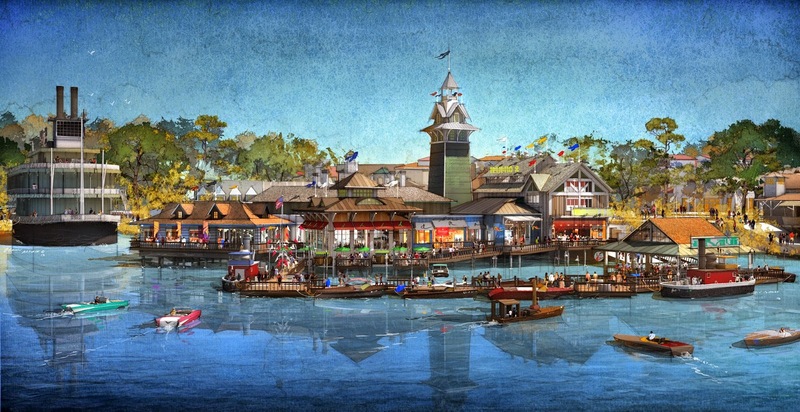 This looks like another immersively themed area that Disney is famous for, and I personally cannot wait to see this project materialize during Downtown Disney's much needed revitalization! That's all for now from TPO! Make sure to like our Facebook page to have the latest Amusement Park News delivered straight to your inbox! www.Facebook.com/ThemeParkOverload My name's Nichlous, and Thanks for Reading!